Why You’re Lonely, and What You Can Do to Change It. Nobody likes feeling lonely. That’s not to say that taking some time for yourself isn’t a good thing, or that you shouldn’t aim to be independent. Those things are positive, because they’re choices that you make. They’re not the same as being lonely. Lonely is the way you feel when something or someone is preventing you from being a part of the activities you want to join in on. It is what happens when you can’t find a way to connect to others, or make friendships that last. We all feel lonely from time to time, but if you find that this is how you always feel, it might be time to start thinking about why. To help you out, we’ve put together a list of common reasons people feel lonely. 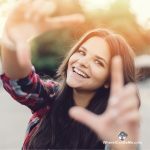 Be sure to click on the bold print to read more about each reason and find out what you can do to stop it from interfering with your social life. 1. You’re too Shy to Join In. We all feel a little insecure sometimes, but shyness shouldn’t keep you from joining the groups and activities you want to be a part of. 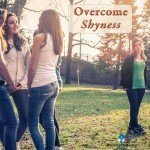 If you find that you’re always worrying about how the things you have to say will be received, shyness might be the thing standing in the way of your ability to connect to others and make friends. 2. You’re Not Sure What to Say. It’s hard to make connections with others if you aren’t sure how to start a conversation with them. When you can’t figure out how to find common ground with another person, your conversations may leave you feeling uncomfortable and hesitant to reach out to others in the future. It’s important to learn how to talk to your peers if you want to be their friend. 3. You Got Stuck with the Wrong Reputation. Certain labels can make it difficult to attract the friends you want, and they may cause others to form opinions before really get to know you. Your reputation shouldn’t get in the way of your ability to make friends, and if it does, it might be time to make a change. 4. You’re Chasing the Wrong Friends. Friendship is a two-way street, and if you don’t remember that, you could end up being taken for granted. The friends you choose should be treating you with respect, and reciprocating your interest in spending time together. If you allow yourself to be treated as a fan rather than a friend, you might end up wasting your time trying to win over people that never make you a priority. 5. You Got in a Fight with Your Friends. Even best friends fight sometimes, but that doesn’t mean everything has to fall apart. Allowing an argument to cause a permanent rift in the friendship can wind up hurting you in the long run. Learn to compromise, apologize, and forgive. Holding grudges might feel like the right thing at first, but over time it could leave you pretty lonely. A thriving social life doesn’t happen overnight, but it’s worth some effort if you want to feel connected to those around you. A good way to start is by identifying those who would make good potential friends and finding areas of common ground with them. You should also aim to foster positive relationships with people who are invested in having a friendship with you. And remember, even great friendships take work sometimes. Don’t be afraid to step out of your comfort zone, and put effort into fostering positive relationships. Your social life will be much better off when you do.